Your business is unique and so are your staffing needs. Whether you have a full-time role to fill, a temporary vacancy, or just need extra help during peak periods, our Talent Advisors will find you the right candidate(s). From Temporary Staffing, Evaluation-to-Hire, and Direct-Hire Placements, to Partner-on-Premise Services, we have the right solutions for you. We offer an extensive talent network with expertise in a variety of industries and job specialties and utilize an array of recruiting tools and capabilities to source and match candidates to your specific requirements. Our multi-step, in-depth vetting process and skills assessment ensures that your business is presented with only the most qualified candidates. The foundation of our business is building client relationships based on establishing true partnerships. We invest the time to fully understand your needs and goals, then closely execute on the details. It is this investment that enables us to achieve the highest possible levels of client satisfaction and provide you with talented and valuable contributors to your organization. 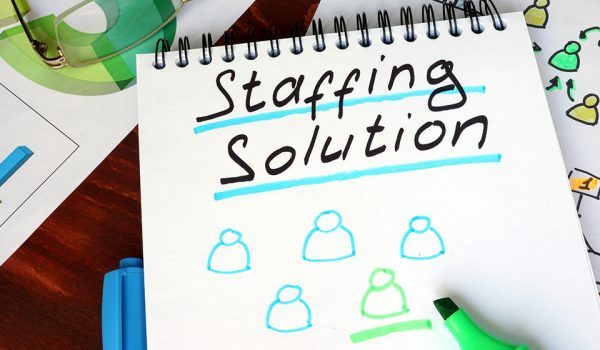 By outsourcing your staffing needs to Ver-fied Staffing Solutions, you can find the talent you require quickly and cost-effectively – without sacrificing quality.